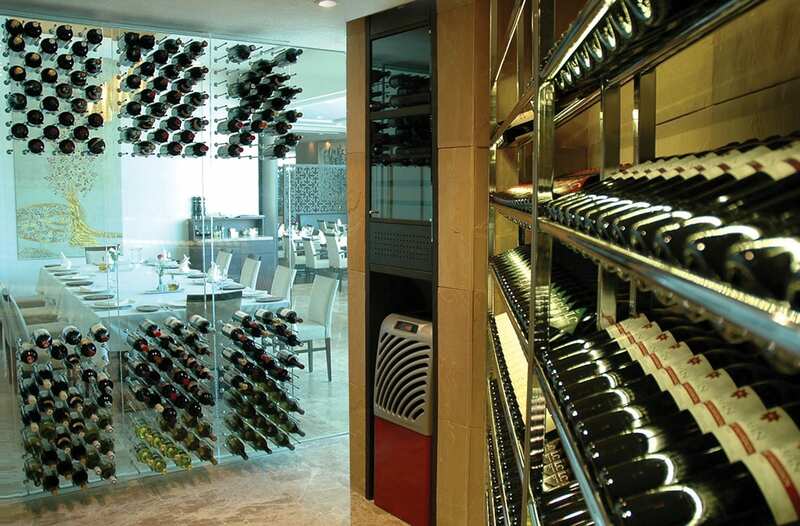 Even restaurants once without a reputation for wine, can attract the attention of wine critics with their wine list, thanks to a well designed wine cellar. Konyali Restaurant is probably one of the best examples for such a case. The purpose of the PLX-1 display units, which are comprised of acrylic panels and stainless steel pins placed right behind the cellar glazing, neighboring the VIP section of the restaurant, is high transparency. 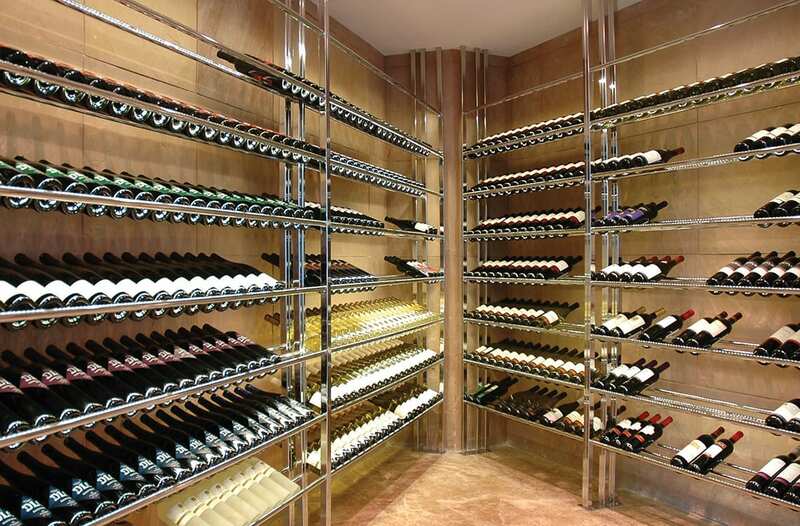 Polished chrome plated metal display units with concealed illumination in front of the natural stone wall enable the wine bottles and their labels to be viewed comfortably.